A very large late 19th century Turkoman carpet, woven by the Beshir tribe. Rather grand, and with a good range of colours. Some wear, but expertly conserved and cleaned, ready for the next few decades of its life. FREE UK SHIPPING. INTERNATIONAL SHIPPING AVAILABLE; PLEASE ENQUIRE. Joshua Lumley is a collector, dealer and valuer of Oriental and European rugs. 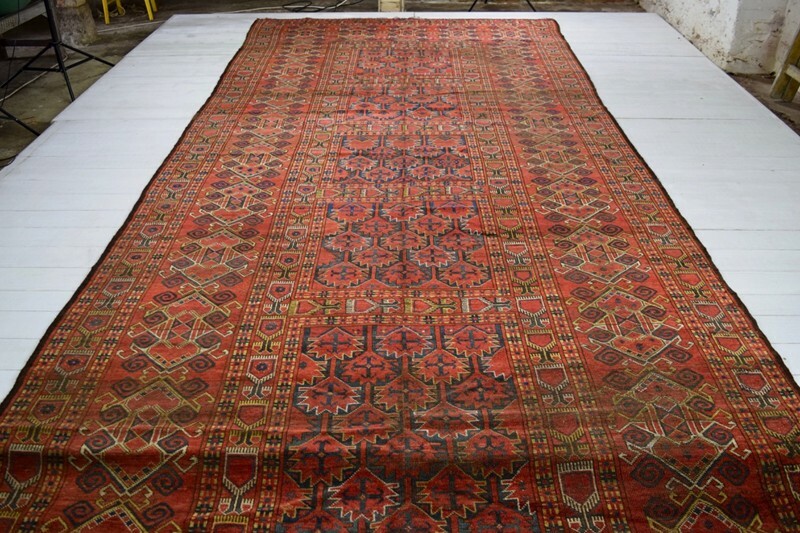 After several years working with carpets at international auction houses, latterly as Head of Department of Sotheby's European Rug Department, Joshua established his own business in April 2004, based in rural Kent, South East England, 50 miles from London. 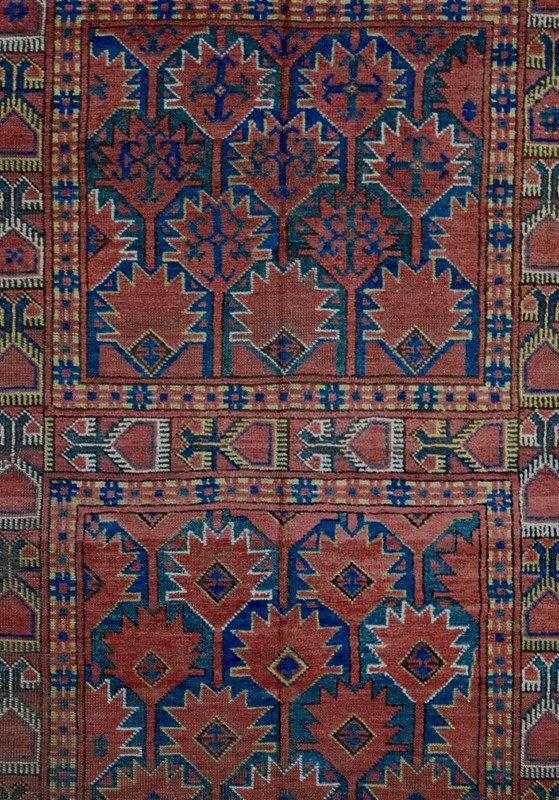 Joshua is passionate about the subject, and areas of particular interest include early Ottoman, 18th and 19th century Kurdish, and 19th century South Persian tribal rugs. 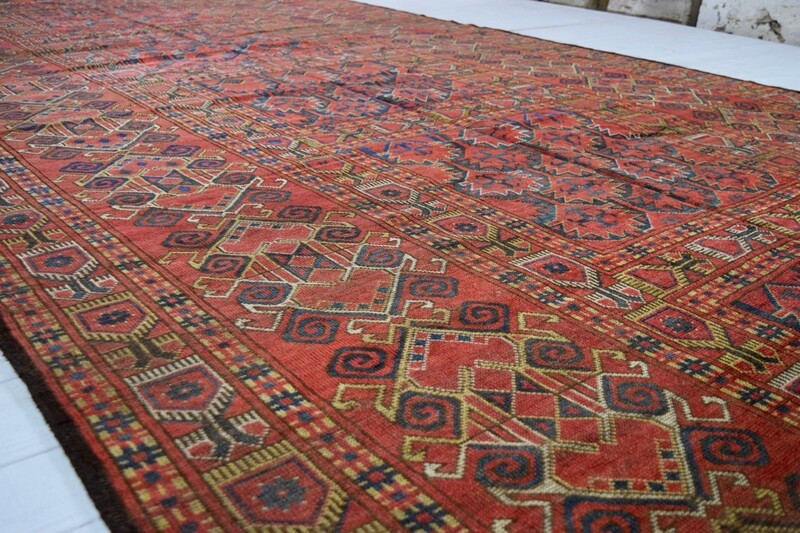 However, as he is drawn to any rug that has good, saturated colours and a spark of originality and energy, he buys and sells a diverse and exciting range of rugs, kilims, trappings, runners and room-size decorative carpets. 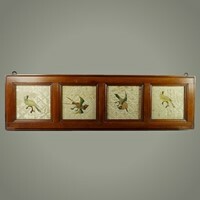 Joshua is a regular exhibitor at The Battersea Decorative Antique & Textiles Fair which takes place three times a year in January, April and October. 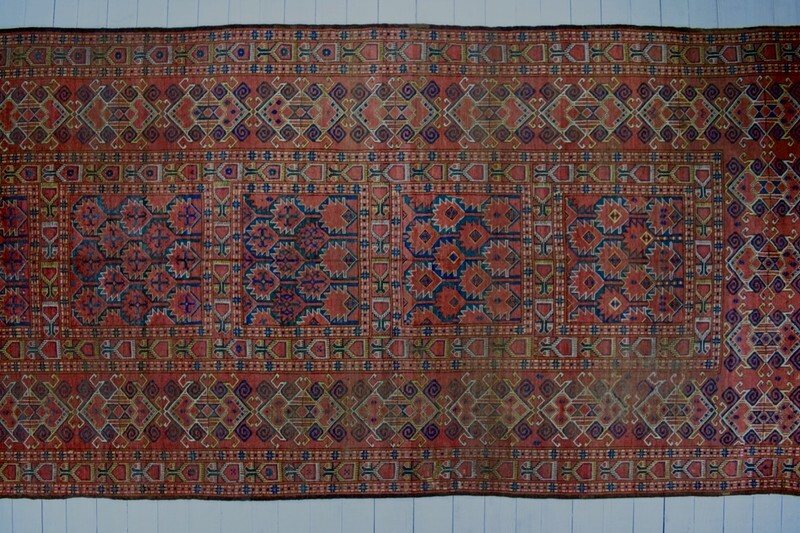 He has a comprehensive and regularly updated website www.joshualumley.com and all rugs can be viewed, by appointment only, at his Kentish Oast House. 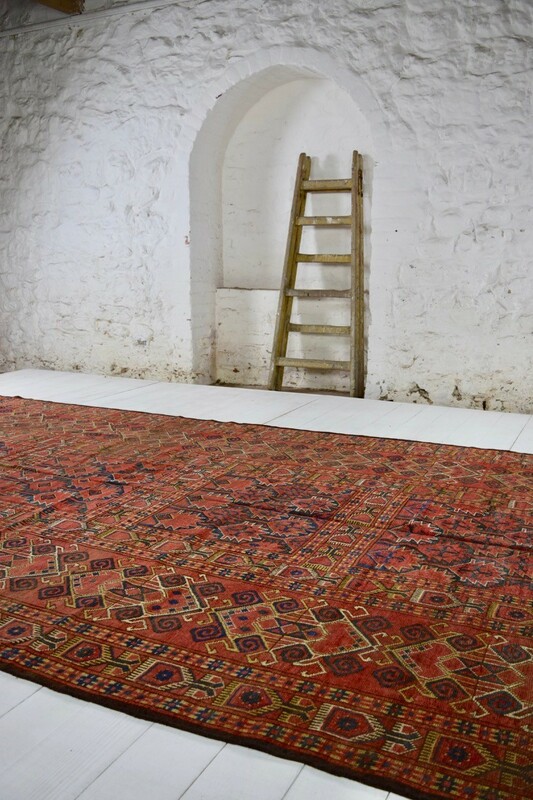 Where possible, he is also happy to take rugs directly to clients' houses so that they can be viewed in situ. If he does not currently have the rug that you are looking for, please email your requirements, and he will do his best to quickly source suitable candidates. He has extensive contacts in the trade and amongst the collecting community all over the world, and can find exciting and beautiful pieces for his clients at highly competitive prices.